Dr. Gary S. Bromley, certified by the American Board of Plastic Surgery, has been providing the highest quality care in cosmetic and reconstructive plastic surgery for thirty years. After receiving his Doctor of Medicine degree from Cornell University Medical College, he completed residency and fellowship training in plastic, reconstructive and hand surgery at The New York Hospital - Cornell Medical Center and New York University Medical Center - Bellevue. 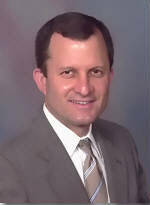 Dr. Bromley currently holds an academic teaching appointment at Weill Medical College of Cornell University. He is an attending plastic surgeon at The New York Presbyterian Hospital (Cornell), and the Jamaica Hospital Medical Center where he is chief of the Division of Hand Surgery and Plastic Surgery. Current professional society memberships include the American Society of Plastic and Reconstructive Surgeons, Plastic Surgery Educational Foundation, New York Regional Society of Plastic and Reconstructive Surgery, American College of Surgeons, in addition to many other professional organizations.